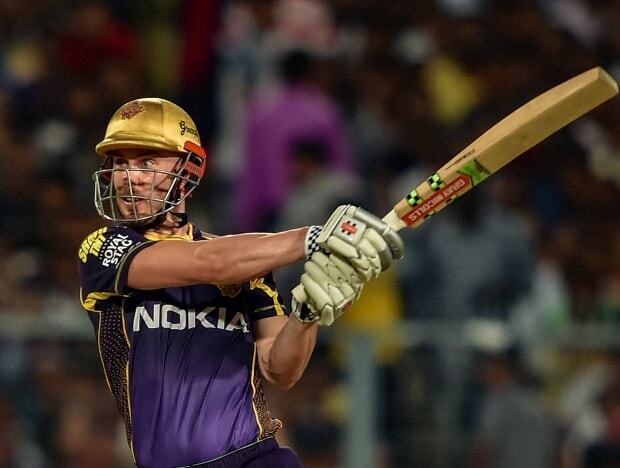 Imran Tahir gatecrashed Chris Lynn's party with a figures of four for 27 as CSK bounced back to restrict KKR to a below-par 161 for 8. In match 29 of VIVO Indian Premier League (IPL 2019), Imran Tahir spun a web before Suresh Raina found his mojo back with a half-century as Chennai Super Kings (CSK) inched closer towards another playoff qualification with a five-wicket victory over Kolkata Knight Riders (KKR) at the Eden Garden in Kolkata on Sunday. After Tahir's career-best 4 for 27 restricted KKR to 161 for 8, CSK coasted to the target in 19.4 overs as Raina anchored the chase with an unbeaten 58 off 42 balls with seven fours and a six. Ravindra Jadeja also played an important cameo hitting 31 off 17 balls to pave the way for the team's seventh win in eight games. Needing 24 runs off the last two overs, Jadeja smashed Harry Gurney for three successive fours to make it just a formality in the last over. This was the defending champions fourth win on the trot as they consolidated their position atop the table with 14 points and one more win will virtually seal their spot in playoffs whose cut-off over the ears has been 16 points.